Despite being one of the first companies to develop a comprehensive mobile device (Windows CE and the Pocket PC were released in April 2000), Microsoft's share of the smartphone market today is small. 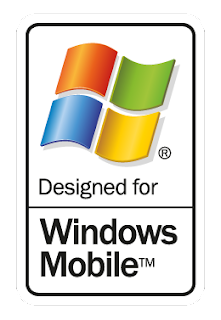 The Windows Mobile operating system, while robust and cutting-edge a decade ago, failed to evolve with the rapid new developments in the industry, and and became overshadowed by Apple's iPhone and Google's Android. The vast majority of today's mobile users choose an iPhone or Android device. In an effort to turn the tides and reclaim a respectable share of the smartphone market, in September, Microsoft purchased Nokia's (NOK) device unit for $7.2 billion. Microsoft's plan to bring the device lineup in-house has, apparently, not impressed shareholders. In an interview with Bloomberg, Apple CEO, Tim Cook, commented on the Nokia purchase and stated, "Everybody is trying to adopt Apple's strategy." His nonchalant reference to Microsoft's intentions for the future of Windows phones seems to mirror the Street's perception as well. Although the debut of the Surface tablet in June did not result in a massive paradigm shift, but instead led to a $900 million writedown, Microsoft still has hopes that the product line can be rejuvenated. In addition to maintaining the tablet line, the company is rumored to have been testing Surface phones, which has apparently been under way since October 2012. Those plans were tabled due to fear of backlash from Nokia, which could have crippled Microsoft's phone division. However, after the Nokia acquisition, Microsoft can proceed with development. Additionally, Microsoft plans to add voice recognition software to its tablets and phones, dubbed Cortana. Unconfirmed reports claim that Cortana will combine features from both Siri and Google Now, creating a comprehensive and unique voice-guided user experience. While this addition could bring Microsoft phones and tablets a step closer to the front lines, it's unlikely that the company's market share will grow substantially. Voice recognition capability is not new, so its inclusion in future Microsoft products won't generate a media publicity buzz that brings consumers racing for the store. Last week, Microsoft announced an arrangement with AT&T (T) to provide cloud computing services to the communication company's enterprise-level customers. Through AT&T's virtual private network capabilities, enterprise customers should benefit from Microsoft's cloud platform, Windows Azure. This arrangement could lead to increased revenue for Microsoft, as AT&T's 3.5 million enterprise customers around the world would become a semi-captive audience for future marketing efforts. Microsoft's attempts to gain a larger piece of the pie have consistently produced mediocre results. The company has hemorrhaged money on acquisitions over the past few years, spending $8.5 billion on Skype, $605 million on Nook, $6.2 billion on aQuantive, $1.2 billion on Yammer, and now $7.2 billion on Nokia. Unfortunately, none of those acquisitions has resulted in a substantial improvement in Microsoft's position. Unless Microsoft can capitalize on the resources provided by Nokia's handset division and quickly develop cutting-edge smartphones and tablets, this multi-billion dollar acquisition may lead to yet another writedown. Conversely, the deal has already had a significantly positive effect for Nokia. The company's shares have climbed over 95% since the deal was announced, whereas Microsoft's shares are only up marginally over the same period. Analysts have lowered expectations for Microsoft in the wake of the Nokia acquisition, taking into account the cost of goods sold and uncertainty about the future success of Surface tablets. Revenue expectations for fiscal 2014 have been decreased from $81.1 billion to $80.6 billion and EPS has been decreased from $2.81 per share to $2.60. Microsoft won't go out of business any time soon. In fact, the company may even experience some moderate single-digit growth over the next few years as new products are released amid a flurry of ad campaigns targeted at the thirtysomethings looking for the latest and greatest gadget fad. While it is true that Microsoft isn't going out of business, investors should keep an eye on the Nokia acquisition because history does repeat itself. Microsoft's own track record of bungled acquisitions and attempts to branch out should keep investors cautious.